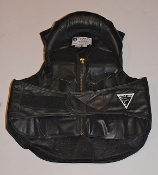 NEW Phoenix 1014 Custom Rough Rider Black leather size Small New cost $399.95 FALL SPECIAL $359.95 There is a 25% restocking fee to return or exchange any Phoenix vests. Customers will be responsible for that fee plus the shipping to return the vest to Sankey Rodeo Schools. NEW Phoenix 2014 Custom Finalist Black leather with neck roll size Medium New cost $449.95 FALL SPECIAL $409.95 There is a 25% restocking fee to return or exchange any Phoenix vests. 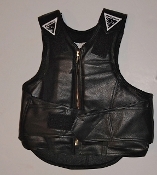 Customers will be responsible for that fee plus the shipping to return the vest to Sankey Rodeo Schools.